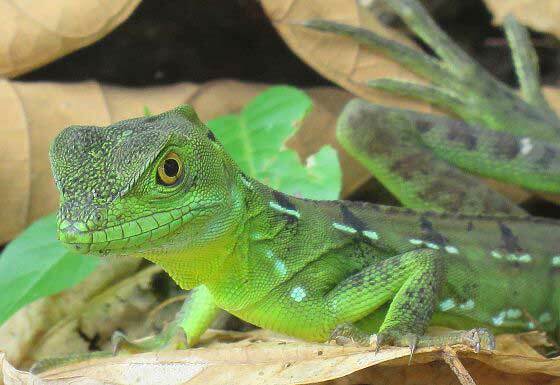 This wildlife volunteering project will take you to the Caribbean coast of Costa Rica, the Central American country best known for its beaches, volcanoes, biodiversity and inspired environmental policies. 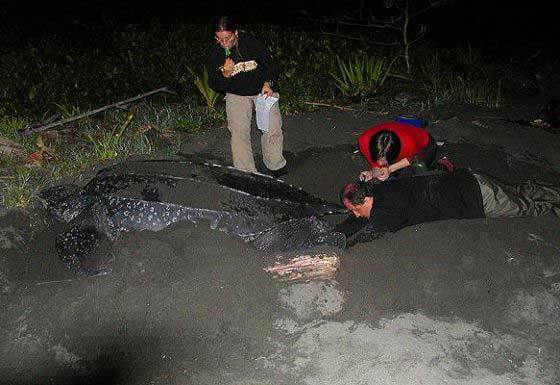 Working on a remote black sands beach, you will be involved in direct conservation actions to support the critically endangered leatherback sea turtle, the world's largest living turtle. 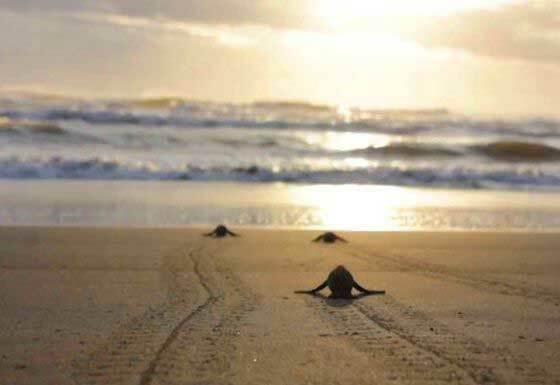 Venturing out from a research station by the beach, you will conduct beach patrols, guard and collect eggs, count and measure hatchlings and adult turtles, and assist with other direct conservation and research activities. All this to help create strategies to ensure the species' survival into the future. Tropical climate with sunshine throughout the year. Day temperatures during the expedition are expected to be high between 24 and 30°C with slightly lower temperatures at night. The expedition base is a remote and rustic research station with cabins for sleeping, shared bathroom and shower blocks, a kitchen, hatchery and various other utility buildings. Ability to walk about 5-15 km per day in soft, sometimes wet sand, and sometimes at high tide. Those of lower fitness level can be assigned shorter patrol walks or monitor nests in the hatchery close to the research station or concentrate on helping with community-based activities. (1) Conduct nocturnal monitoring patrols for nesting turtles. 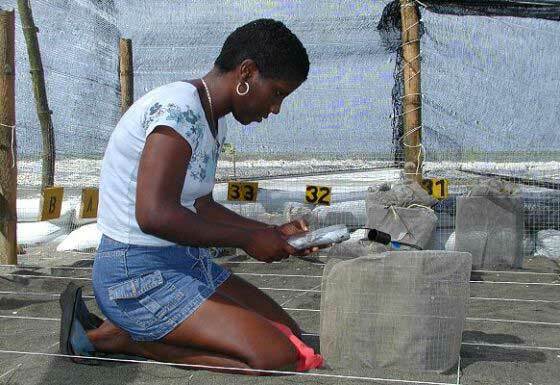 (2) Relocate turtle eggs for safe hatching in a dedicated hatchery. (3) Conduct species, population and clutch counts. (4) Monitor nest predation, beach dynamics and hatchling success rates. Humans have always used the products and sub-products of sea turtles as a source of nutrition and handicrafts. However, as the human population increases, the demand for these products also rises, creating a black market and huge pressure on the sea turtles – primarily for the consumption of the meat and eggs. Since the first studies on nesting sea turtles on the Caribbean shores of Costa Rica in the 1970s, it is clear that human demand is at unsustainable levels, threatening the survival of all seven species of sea turtles. 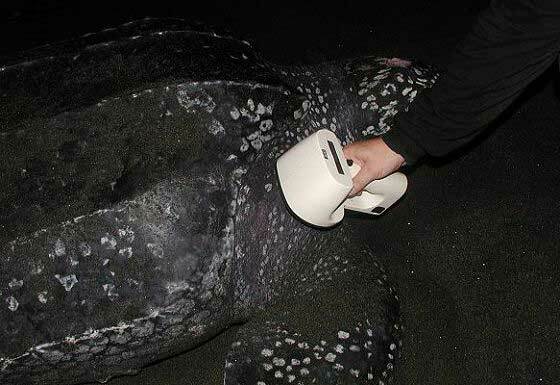 The leatherback sea turtle is the largest of all living turtles and is the fourth-heaviest modern reptile behind three crocodilians. It can easily be differentiated from other modern sea turtles by its lack of a bony shell. Instead, its carapace is covered by skin and oily flesh. The leatherback turtle is the sea turtle species with the widest global range, spanning all oceans as far as the arctic circles. 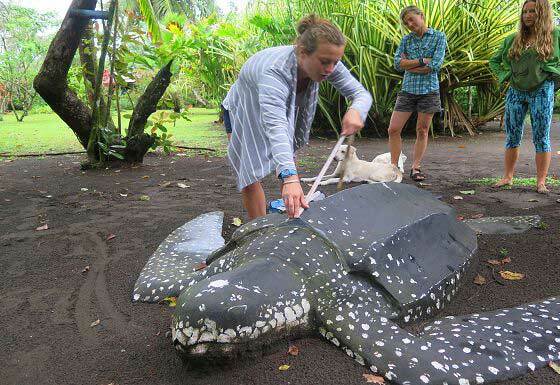 Scientists have tracked a leatherback turtle that swam from Indonesia to the U.S. in a 20,000 km foraging journey over a period of 647 days. Leatherbacks follow their jellyfish prey throughout the day, resulting in turtles preferring deeper water in the daytime, and shallower water at night (when the jellyfish rise up in the water column). Leatherback turtles are known to pursue prey deeper than 1,000 m - beyond the physiological limits of all other diving animals except for beaked whales and sperm whales. The three major, genetically distinct populations occur in the Atlantic, eastern Pacific, and western Pacific Oceans. Whilst the species as a whole is classed as Vulnerable on the IUCN’s Red List, the Atlantic subpopulation of this project is considered to be Critically Endangered. Recent estimates of global nesting populations are that 26,000 to 43,000 females nest annually, which is a dramatic decline from the 115,000 estimated in 1980. Direct utilisation of turtles or eggs for human use (consumption and commercial products) is one of the major threats and as such the focus for this project through direct conservation action such as nest and nesting ground protection and ensuring hatchling success. The project involves community members alongside international citizen scientist in its conservation activities, recruiting local people as research and conservation assistants, and giving them an alternative income to poaching. This is urgently needed in what is a very isolated and vulnerable community, with very few educational and employment opportunities. 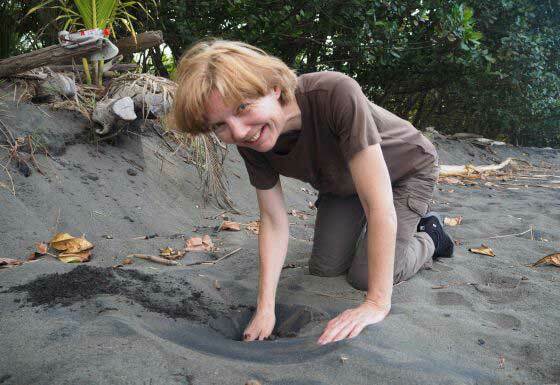 Through the construction of an uncontaminated hatchery, as a safe incubation zone for each nest laid on Pacuare beach, the project collects data from eggs and hatchlings and protects nests from predation and poachers. 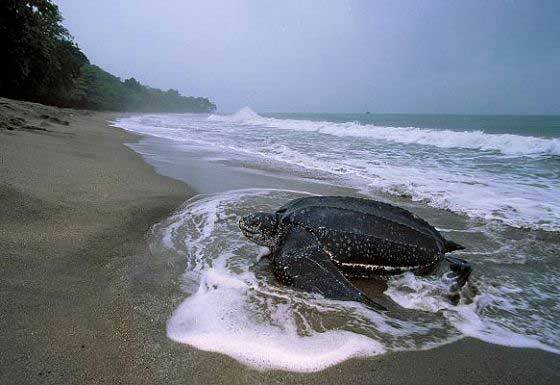 The leatherback turtle nesting season runs from February through until July, with peak nesting activity in April and May. 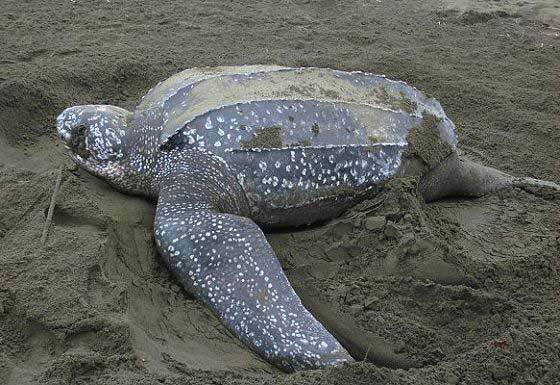 The project is made possible by the cooperation of the local community – The Environmental Association of Nuevo Pacuare – and the local coastguards and meets the standards and protocols set by MINAET (Ministerio de Ambiente y Technologia) for handling turtles and their eggs. 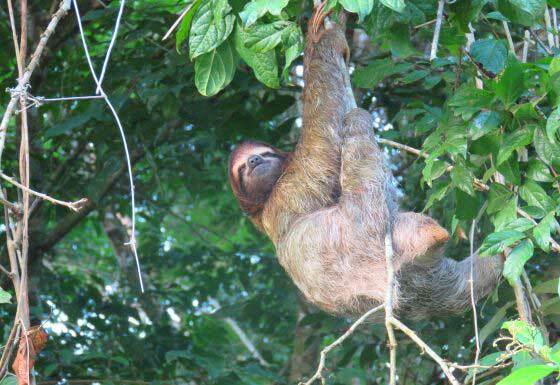 Other landmark species present: Green turtle, hawksbill turtle, caimans, white-faced, spider and howler monkeys, two- and three-toed sloths, as well as a rich variety of birds. Turtle monitoring takes place during the night and very rarely in the early mornings before the heat of the day increases. When not undertaking direct conservation or data collection activities, participants have the opportunity to relax on the beach and there will also be some turtle talks and presentations for you to attend in the mornings. An opportunity to take a boat tour to spot wildlife along the canals also exists, if there is enough interest. Beach patrols will be on foot and the 7 km of beach will be split into two sections. Under normal circumstances there will be four patrol teams each night to cover all sections of the beach in two patrols. Patrols will always leave with a qualified leader – either a research assistant or a local guide. You will be leaving from base and returning there afterwards to sleep. For late patrols leaving at midnight, we recommend you rest before your shift. Breakfast, will normally be served at 08:00 and at 10:00 you will have a de-brief followed by a lecture. You will then have free time to rest and relax until lunch at 12:30, unless you are on hatchery monitoring duty, when you will protect, weigh and measure emerging hatchlings and guide them back to the ocean. After lunch there is more free time until the afternoon activity of beach survey or hatchery maintenance. Dinner will be served at 17:30 before dark, so that patrollers can rest. Please note that every team member will be rotated through all activities. A cook will prepare our meals at the expedition base, where you will return to eat, rest and have a shower. 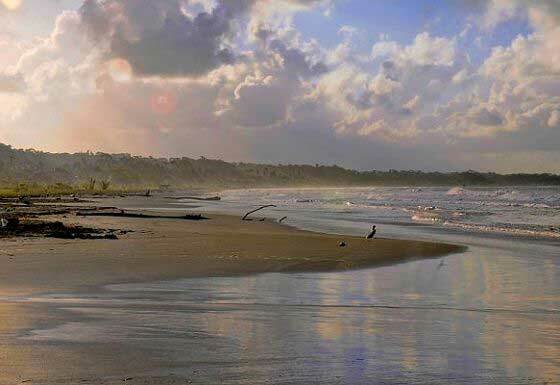 Costa Rica is a small country in Central America. The country has coastlines on both the Atlantic and the Pacific and is home to nearly 5% of the planets biodiversity. 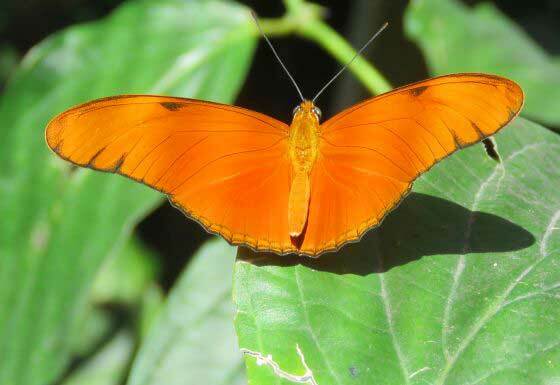 Despite its small size, it is considered one of the planet’s top 20 countries in terms of biodiversity. 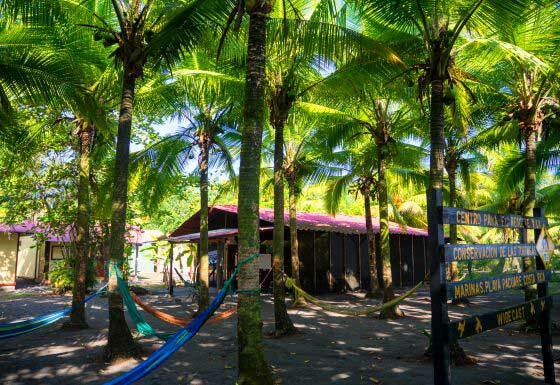 Indeed Costa Rica is known for its progressive (environmental) policies, having disbanded its army and being the only country in the world to meet all five criteria established to measure environmental sustainability. It was ranked fifth in the world, and first in the Americas, in the 2012 Environmental Performance Index. It was twice ranked the best-performing country in the New Economics Foundation's (NEF) Happy Planet Index, which measures environmental sustainability, and identified by the NEF as the greenest country in the world in 2009. In 2007, the Costa Rican government announced plans for Costa Rica to become the first carbon-neutral country by 2021. In 2012, it became the first country in the Americas to ban recreational hunting. When Colombus discovered Costa Rica in 1502, the first indigenous people he saw wore gold bands in their noses and ears – which later led to the name of the country – The Rich Coast – or Costa Rica. In those days, there were four main indigenous tribes, which after the arrival of the Spanish were decimated by small pox. Today a remarkable 98% of Costa Ricans are of Spanish descent. 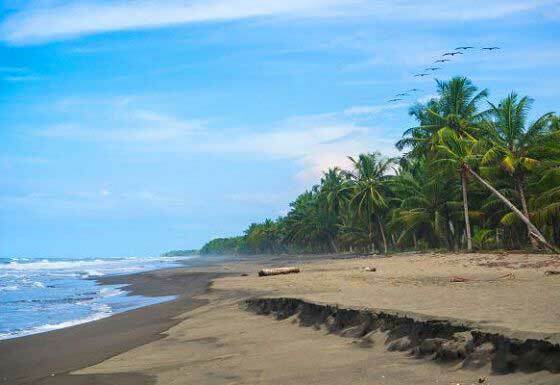 The project’s study site, Pacuare beach, is located in the province of Limon, in the district of Matina. 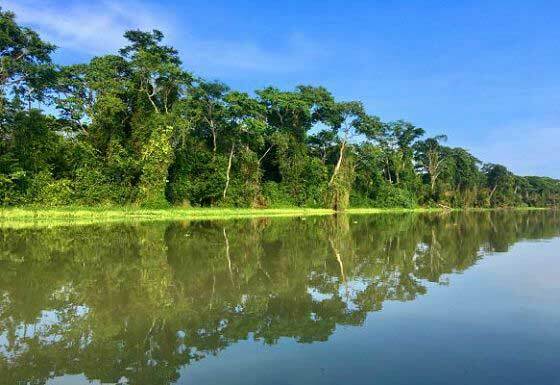 The project site is only accessible by boat, through the canals of Tortuguero. 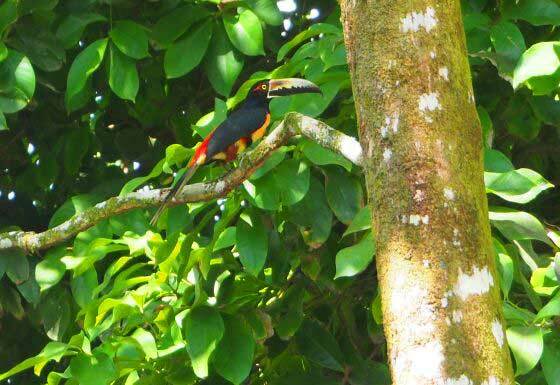 It is a very remote and isolated area – rich in wildlife and nature. This expedition was honoured in National Geographic's "100 places that will change your life" edition. Biosphere Expeditions as an organisation has also won multiple National Geographic awards and accolades such as "Best New Trip" and "Tours of a Lifetime". 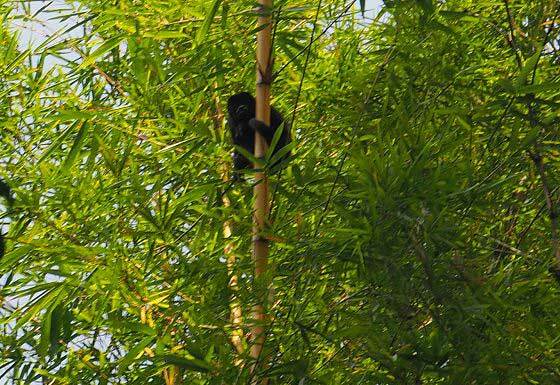 This expedition was honoured in responsibletravel.com magazine’s "Top Responsible Holiday" list. A photo from this expedition won a pan-European photography contest. 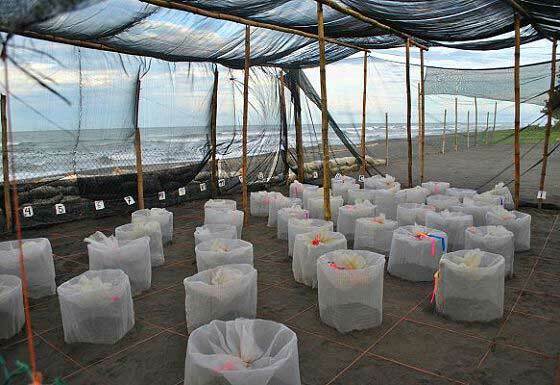 Since starting its work in Costa Rica, Biosphere Expeditions team members have patrolled the 7 km stretch of beach in front of the Pacuare research station each night and brought a total of 23 clutches of eggs to the hatchery. 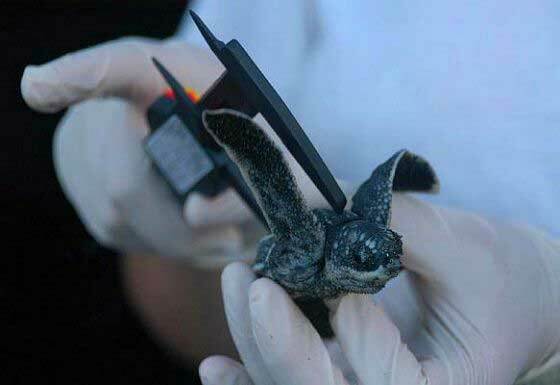 Team members have also released 358 hatchlings into the sea and taken biometric data on the first 15 hatchlings from each of the seven nests that has hatched. Overall, turtle poaching has been reduced from 100% before patrolling efforts started to between 60-25%, depending on the year. All this helps to give Caribbean turtle species a fighting chance to survive. In addition, our partner on this citizen science conservation holiday is Latin American Sea Turtles (LAST) who represent WIDECAST (the Wider Caribbean Sea Turtle Network in Costa Rica). LAST has over 28 years of experience in sea turtle management and research and have attracted various strategic partners thanks to their contribution to this field (Whitley Award for Nature, The Nature Conservancy and WWF) LAST have initiated projects to monitor reefs, trained national park rangers in monitoring turtle nesting and educated hundreds of local students on the importance of marine and coastal conservation. They also act as environmental advisors to the government on marine environments, participate in several local, national and international networks and publish articles to improve the knowledge about the ocean and its life. 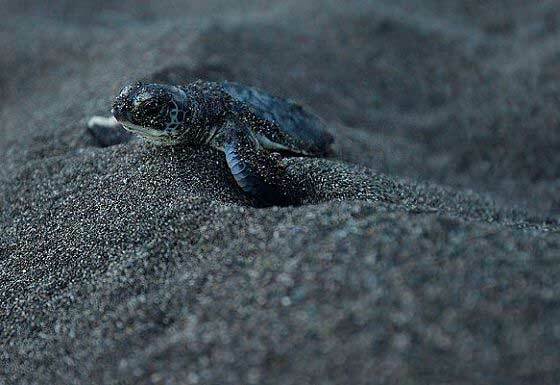 In order to reduce threats to sea turtles, and to restore population levels, LAST has implemented a series of sea turtle management programmes on many of the Caribbean beaches in Costa Rica – including Pacuare beach. When the Pacuare project started in 2004, it was just for egg protection and no data were collected. WIDECAST took over the investigation in 2007 and LAST have become the sole researchers since 2012. On another scale, all scientific reports and publications for Biosphere Expeditions are on the reports & publications page. As far as we are aware, Biosphere Expeditions is the only organisation in the world that has a direct and transparent link between the work done by citizen scientists and an expedition report. Each expedition year is matched by an expedition report for that year, which deals with the two main areas that expedition participants contribute to: funding and data collection. Chapter 1 of each report, written by Biosphere Expeditions, reviews the expedition logistics and publishes an expedition budget, which shows in a clear and transparent way income and expenditure for each expedition and the percentage of income spent on the project. Chapter 2 onwards, written by the expedition scientist, shows who collected what data, how they were analysed, what the conclusions were, as well as the conservation recommendations and actions flowing from this, and what future expeditions should do. In this way, each expedition comes full circle for its participants. Magali Marion, local scientist, Costa Rica. “This has been a surreal week of sweat, smiles, hard work, laughter and of course excitement and joy of seeing nature’s marvelous beast of this Caribbean beach. It’s been a dream come true and how lucky I was to share it with you! The team this week has been an absolute blast with a great dynamic. Dinner at home won’t be quite the same without all the faces of my Biosphere family, and it sure won’t be as funny without good ol’ Gordon. All the Biosphere staff were incredible and kind and I have to give Silvia’s cooking 5 stars! Thank you for this experience and opportunity to make a positive impact on a beautiful species. The expedition’s nearly done, but the memories are forever!" Keiner Jiminez Alvarado, 28, Costa Rica. "I really wanted more than a vacation – a trip that felt like it was contributing something worthwhile. 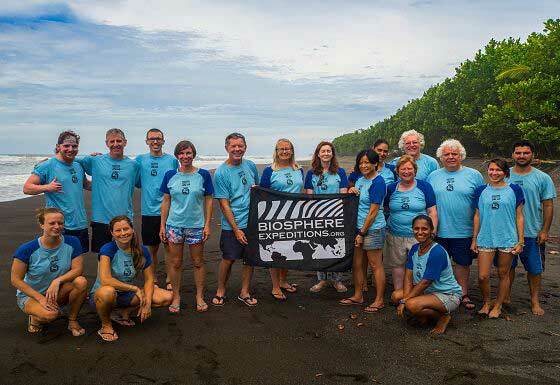 Biosphere Expeditions seemed like a great organisation, dedicated to meaningful work. And this is exactly what I got. Thank you so much." "Really enjoyed the leaders – Ida and Fabian - their extensive knowledge and friendly personalities are a major highlight of the expedition. In fact all staff were fantastic. Thank you to everyone involved to make this a very memorable expedition. The logistics to organise something of this size must be huge, but everyone was organised and never showed any strain for putting everything together and always had big smiles!" "Thanks, thanks, thanks, to all, you were FANTASTIC!" "Fabian and Ida were both very helpful in making sure all our needs were met as well as answering all the questions we had. The trainings and lectures were very well organised and educational. Great experience – cannot wait to see what other adventures I will be a part of with Biosphere Expeditions."